You can never go fast enough. 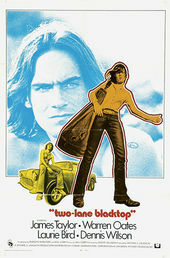 You'd be forgiven for mistaking indie darling Monte Hellman's Two-Lane Blacktop for any of the several dozen road movies to come out of the early ’70s, when the romance of cross-country travel appealed to a new generation of restless teens and their hand-me-down Chevys. And its similarities are many, though Hellman's unique direction style and deep investment in his subject matter set it apart from its poorly-crafted contemporaries. 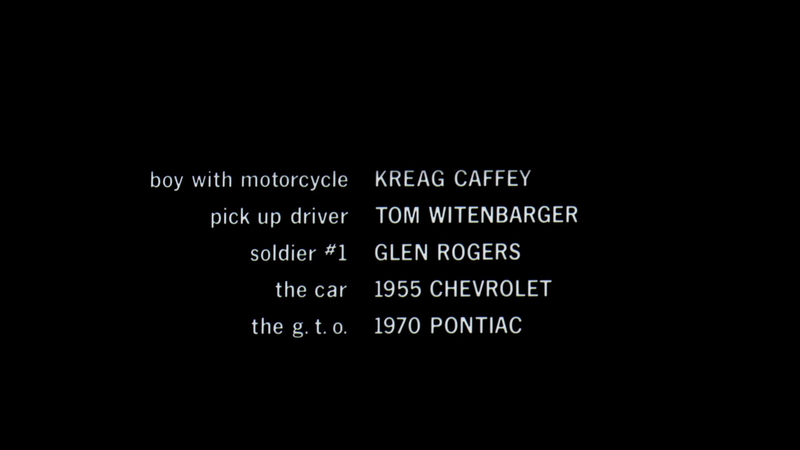 As with the film, its titles are reduced to the essentials: the open road and the sound of James Taylor’s ’55 Chevy purring away as he ditches the cops in search of new mischief.